This is, of course, the memorable line from the hit move The Sixth Sense. Well, I do not see dead people. But, like the boy in Sixth Sense, it seems that I see quite differently than most people when it comes to, not dead people, but old houses. Houses which I think are treasures beyond compare — and should be snapped up, exquisitely restored, and cherished — MOST people pay no attention to. The qualities which I see, others do not. I just don’t get it. Or, perhaps, I simply have really bad taste in houses. 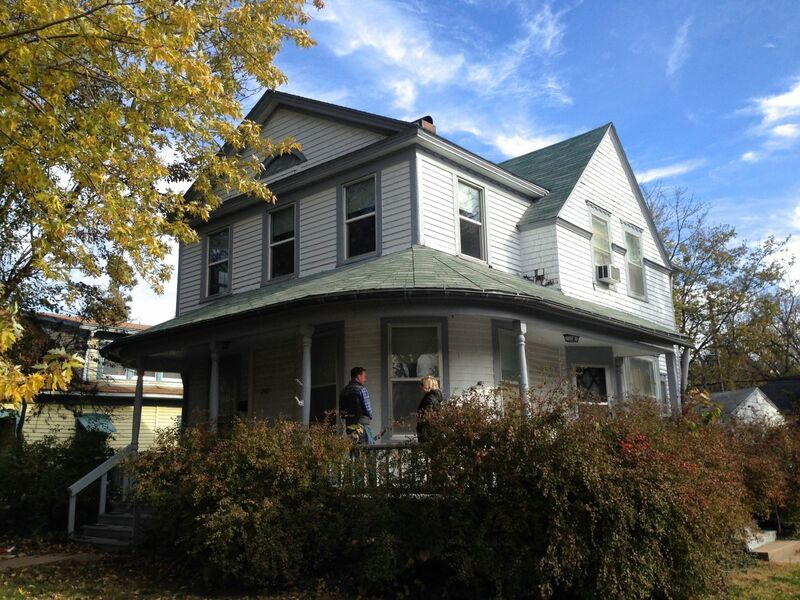 The house at 702 West Street, Emporia, is just such an example. It has languished on the market, and with its price dropping and dropping. It begs: Please buy me! Please! The house is not large, and it is not, admittedly, much of an eye-catcher from the outside. Although it could be. It does sit on a large corner lot, has some lovely trees, and is surrounded by attractive housing. The current price ($40K) seems a steal to me. Yet it sits, unloved and unwanted. My reaction? I salivate, I experience lust, and my mind races with restoration and renovation ideas. What first attracted my special attention was the possibility that the house was designed by noted architect Charles W. Squires, who designed my Cross House, and many other wonderful houses/buildings in Emporia and Kansas. Well, what could be better? I mean, this alone is a reason to cherish the house! ABOVE: 702 West Street. 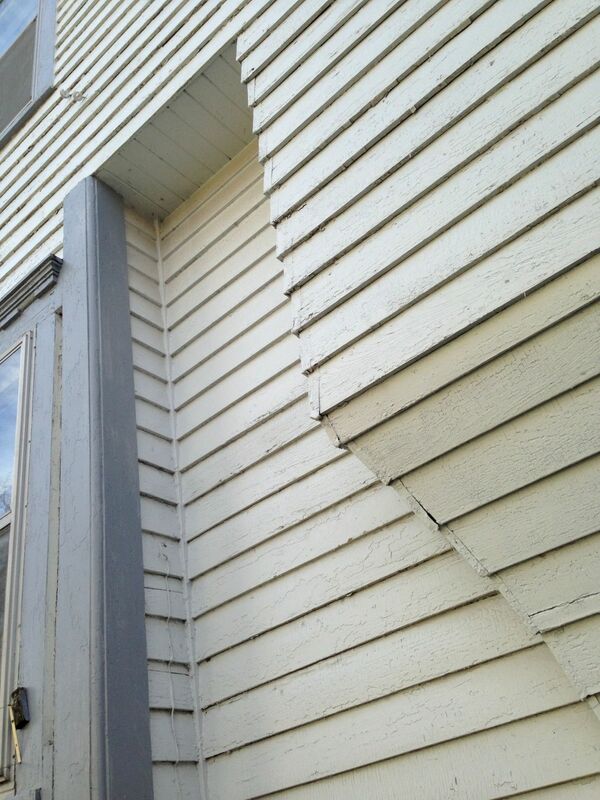 It is not readily obvious in the images but the first-floor corner is a round bay. 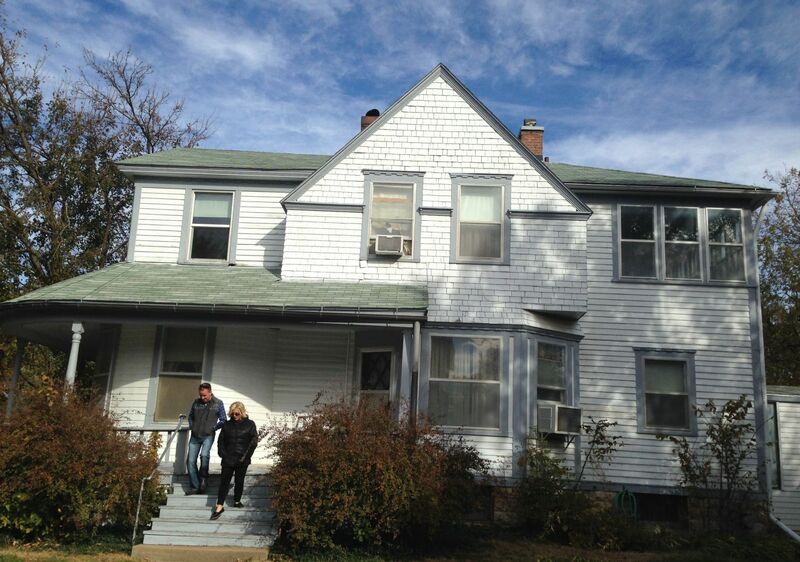 ABOVE: See the asphalt shingles on the porch roof? They should curve around the corner, and not be laid in pie-shaped sections. ABOVE: The delicious rounded bay. ABOVE: The north exterior. THIS is what captured my special attention, and THIS is why Charles Squires must be the architect. Why? Well, this is a really odd facade. Most architects would have simply had the upper, extended section go in a straight line down to foundation. 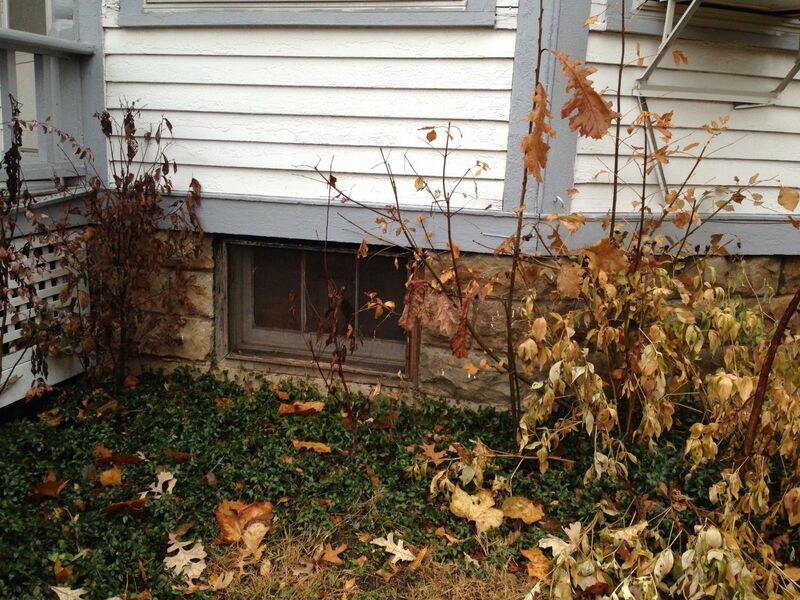 I mean, this is not the main facade, and you really cannot even see this wall (a house is right next door). But the architect of 702 decided to have some fun, so he/she brought one section down with a sensuous curve, and then the adjacent section down into a window bay with an angled bottom. This was not an expensive house yet these two details cost money. But they are cool. And most people, sigh, will never notice all this effort. ABOVE: Between the sensuous bay and the other bay there is this, ah, indent. This indent was a lot of extra work. But it is cool. ABOVE: The south facade. That is the lovely Lacie showing the house to the charming Brandon. ABOVE: Note just above the window on the first-floor bay, and directly above each second-floor window. See the horizontal blocks of wood? That is a exaggerated dentil detail, and Squires loved this detail. ABOVE: You can see another exaggerated dentil detail on a confirmed Squires design at 819 Constitution, shown in this thread. ABOVE: More dentil at 702. 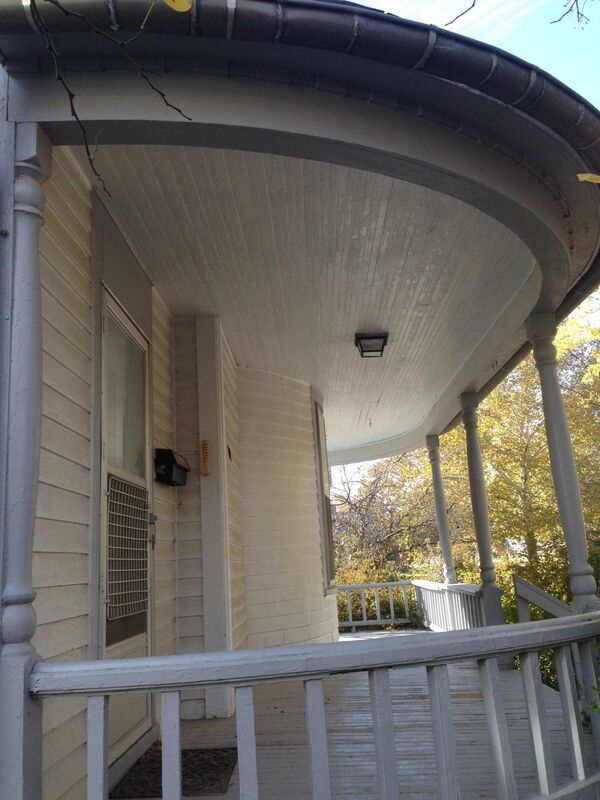 ABOVE: The front porch at 702 has not one but two sweeping rounded corners. Whoee! 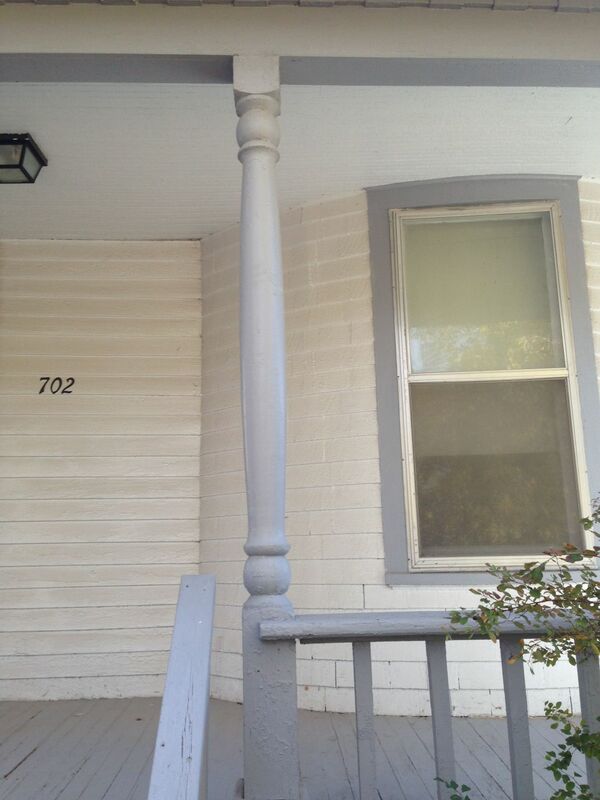 ABOVE: The porch columns appear original; the balustrade does not. 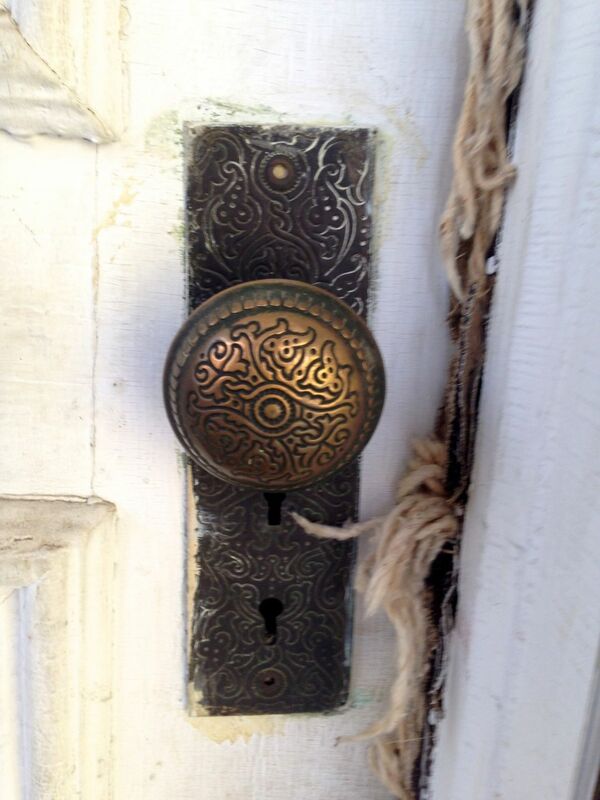 ABOVE: Nice original hardware on the front door. 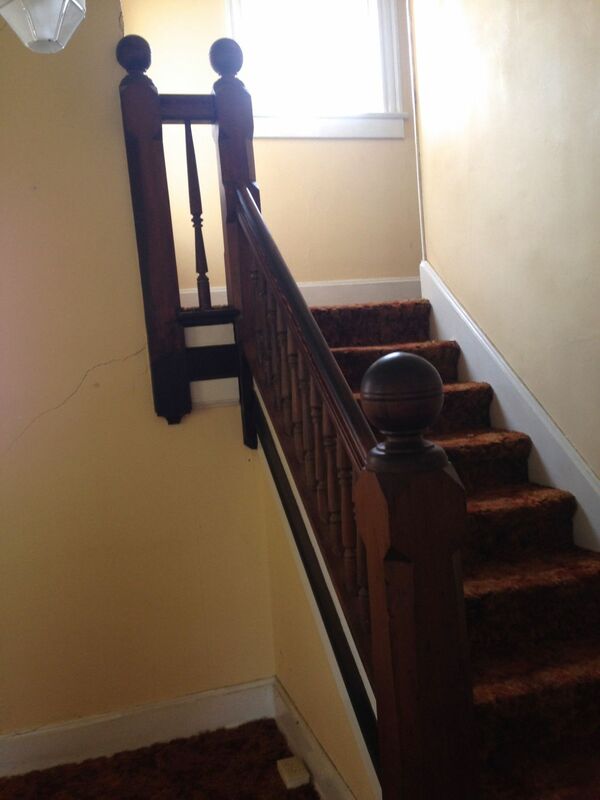 ABOVE: Because 702 was not an expensive house, the staircase is simple. But it is nice. ABOVE: The ball at the top is really huge and fun to grab. Note the chamfered corners, which decrease in width as they reach the floor. 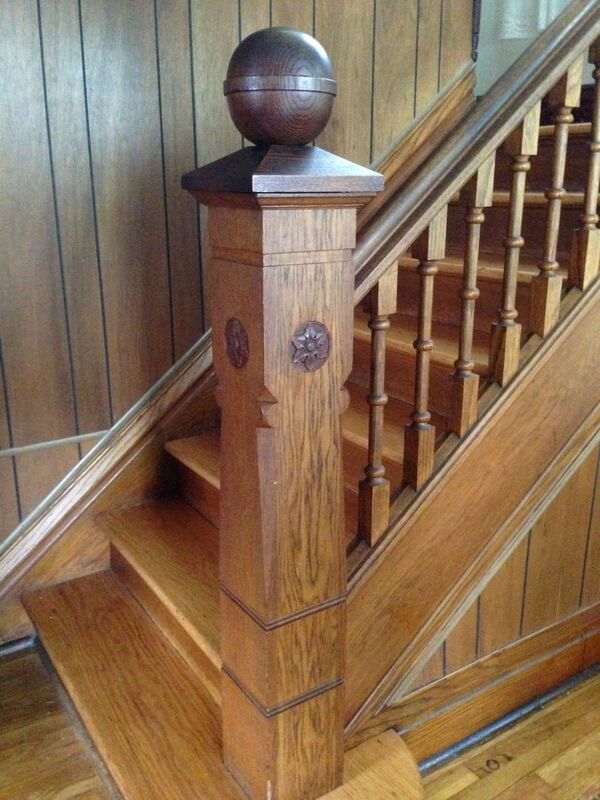 ABOVE: The newel post at 819 Constitution, a confirmed Squires design. Note the same kind of over-scaled finial as in 702, and the same angled chamfered corners. ABOVE: Living room. Even though the rounded bay is obvious outside, one is nonetheless surprised to find a lovely, delicious bay inside. It is wonderful in person. I do love a dramatic sweep. ABOVE: The lighting appears to be original and is a knock-out. 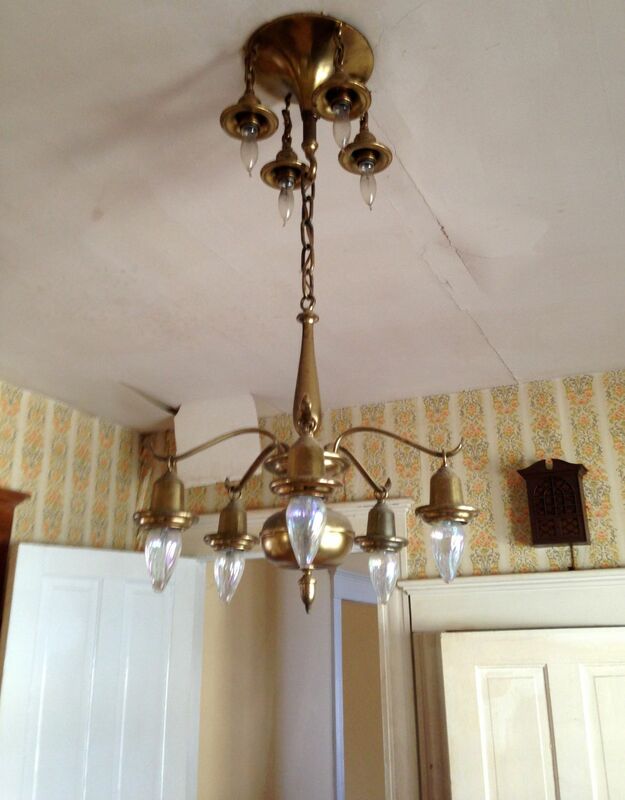 I am SO afraid that a buyer will think nothing of putting this fixture, and others (below) out in a yard sale. Oh, the shades are not original. 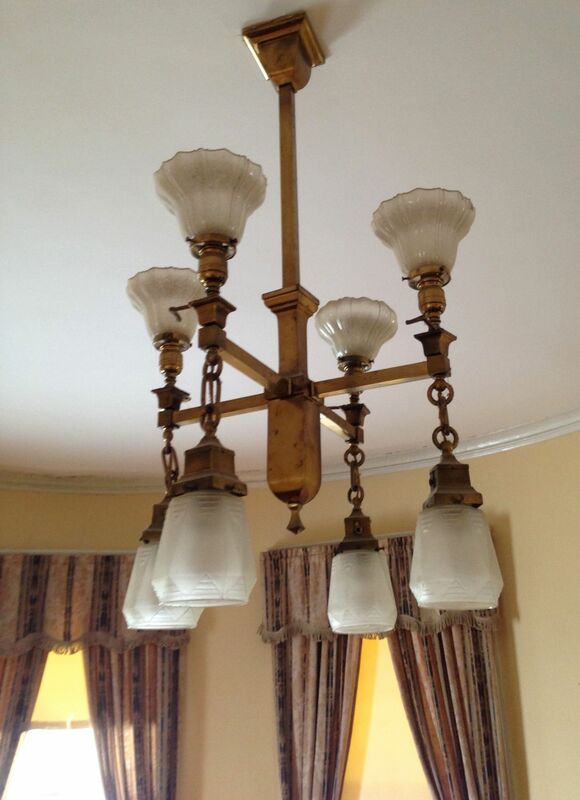 The upper section of the fixture would have been gas, and the lower section electric. ABOVE: The second living room. My heart aches at the thought of what the ceiling fan replaced. ABOVE: The second living room. 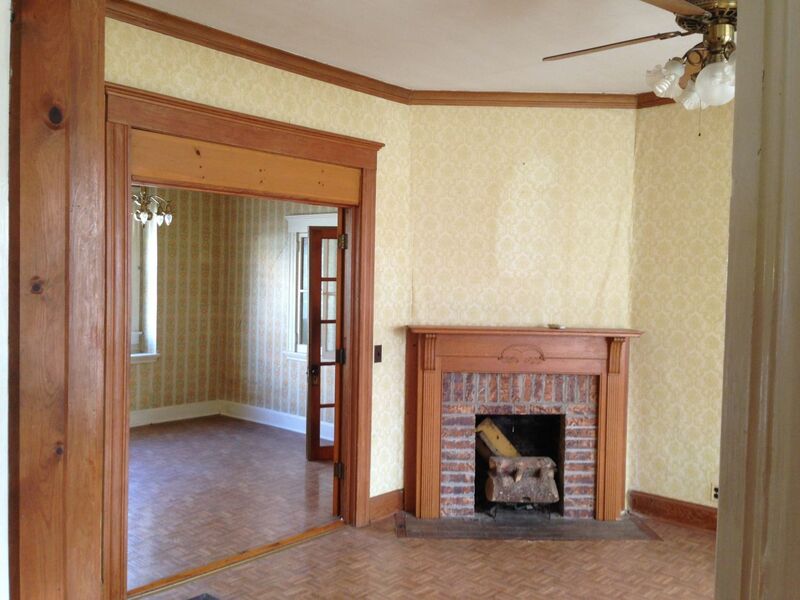 The dining room is to the left, and through non-original (and reduced in height) French doors. 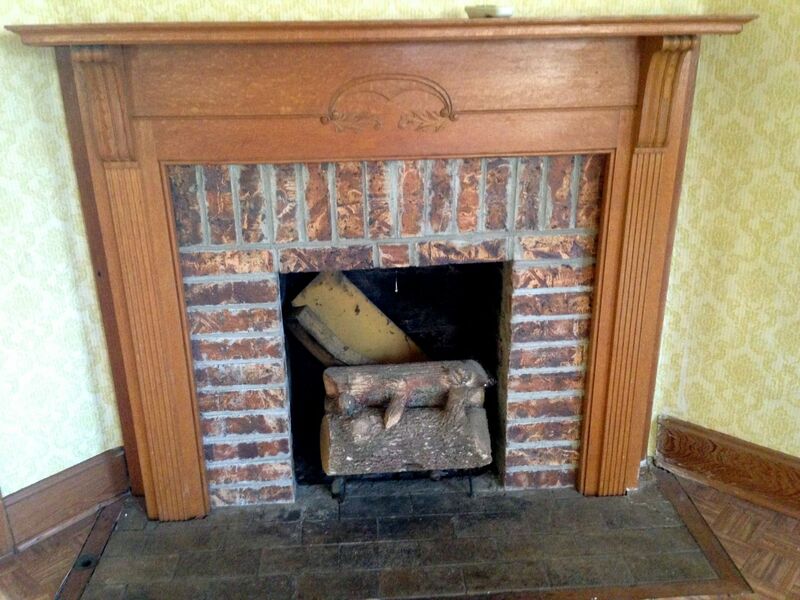 ABOVE: The mantle, like the stair, is simple yet sweet. 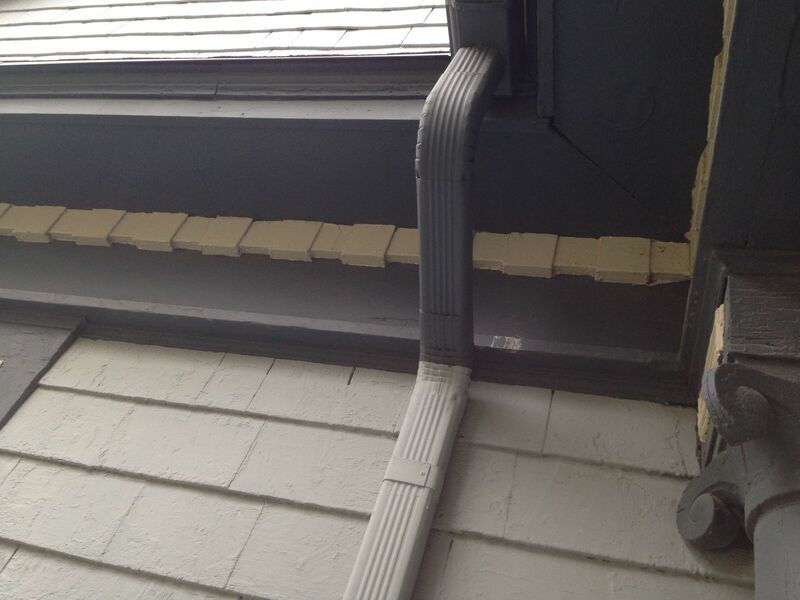 The brick is not original, and it appears that there was once an over-mantle. ABOVE: Dining room. The flooring is not original. ABOVE: Dining room. The bay. ABOVE: Dining room. Soooooooooooooooo beautiful. Geez. ABOVE: The kitchen. 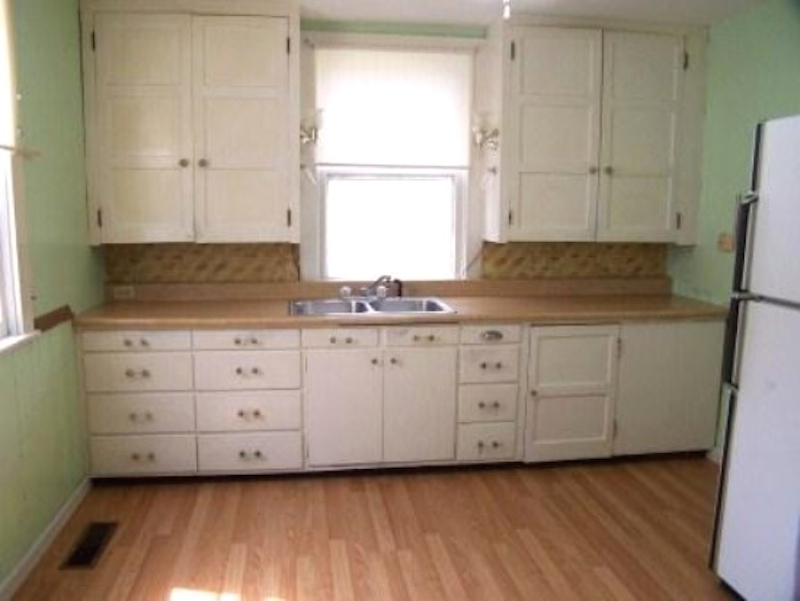 I like the cabinets. ABOVE: There are three bedrooms upstairs. 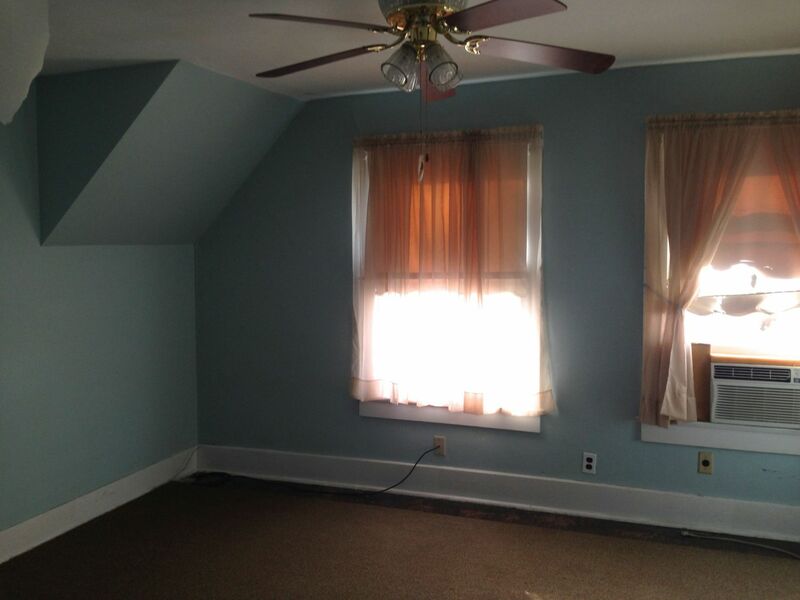 This is the natural master bedroom, and we are looking at a sweet alcove which had closets built in at some point. Sweet it may be, but I would remove the closets and convert the alcove to a bathroom (as every master bedroom should have an en-suite bath, right?). ABOVE: Bedroom #2. Not a bad size in person. ABOVE: Bedroom #3. Not large but cute. 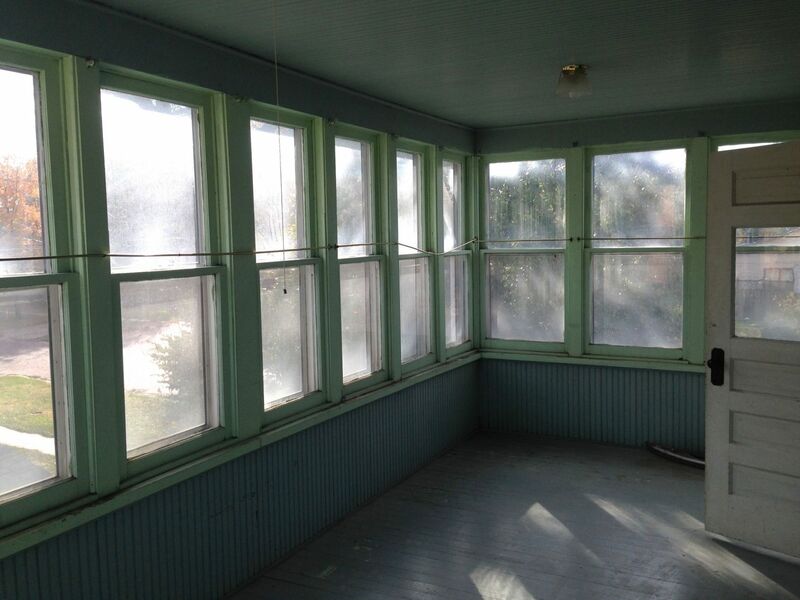 ABOVE: The sun porch. The image cannot convey how large and long the porch is. Just wonderful. Lacie and Brandon and I all just stood in the porch, a little awestruck, and in unison exclaimed: I love this room! 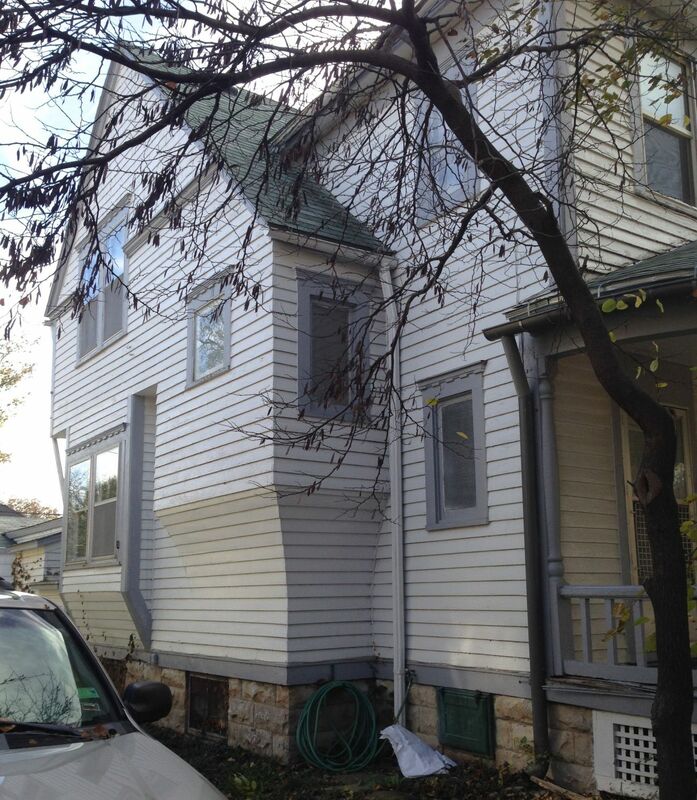 ABOVE: You can appreciate the scale of the second-floor sun porch. ABOVE: One of the things I always look for in a house is a full basement. 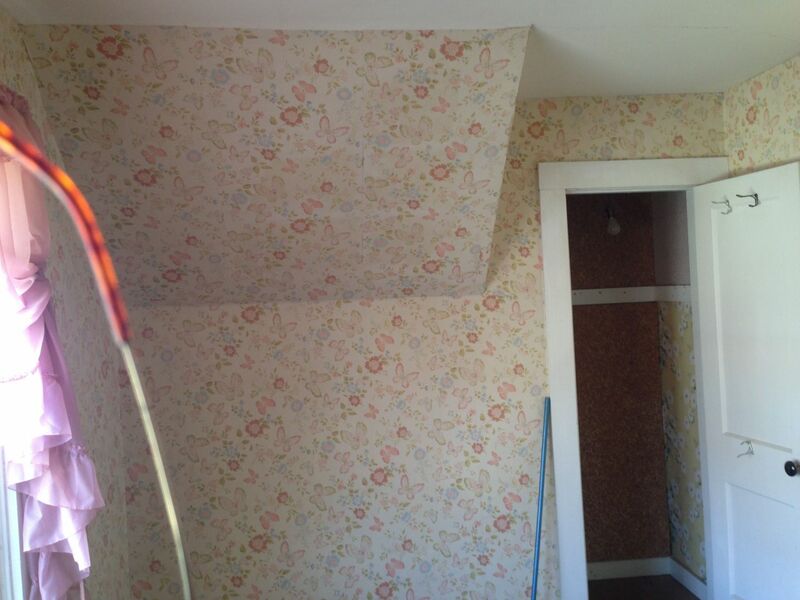 This makes things WAY easier to get to when restoring/renovating a home. I also like the extra space. An important consideration is light. Does the basement have windows? 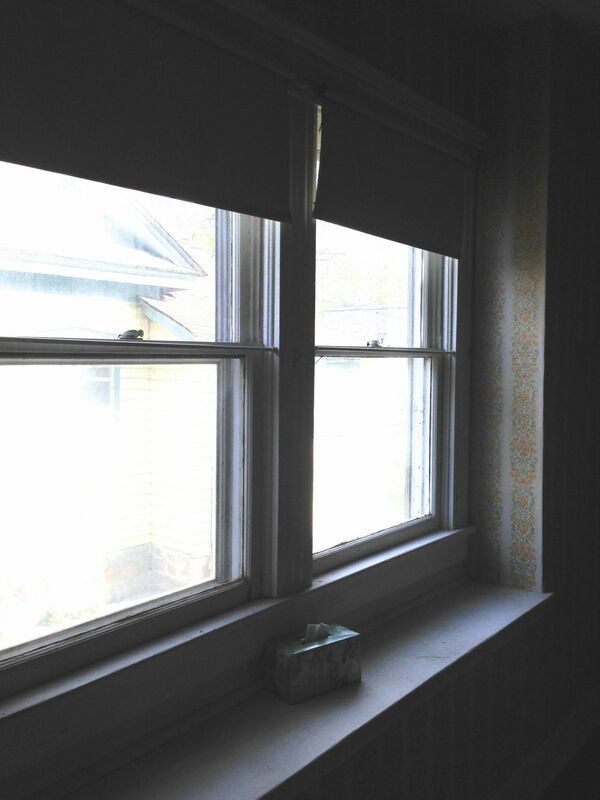 Luckily the basement at 702 West has numerous nice-sized windows. I also like the cut stone. Charles Squires loved cut stone. Attached to the back of the house is a circa-1950 2-car garage and with a wide hall leading to the house. 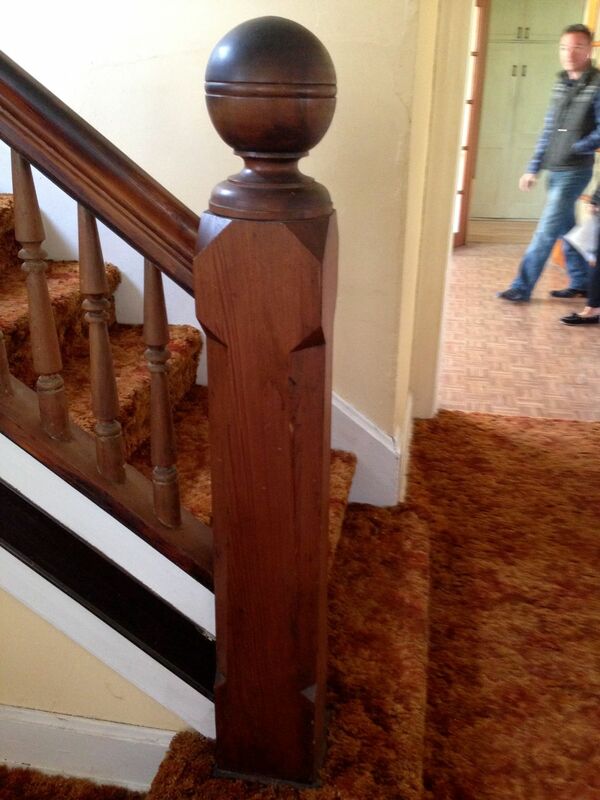 I am uncertain if I would just lop this off, convert it to a huge family room, or simply repair it As Is. Sorry I forgot to take images of the bathrooms. 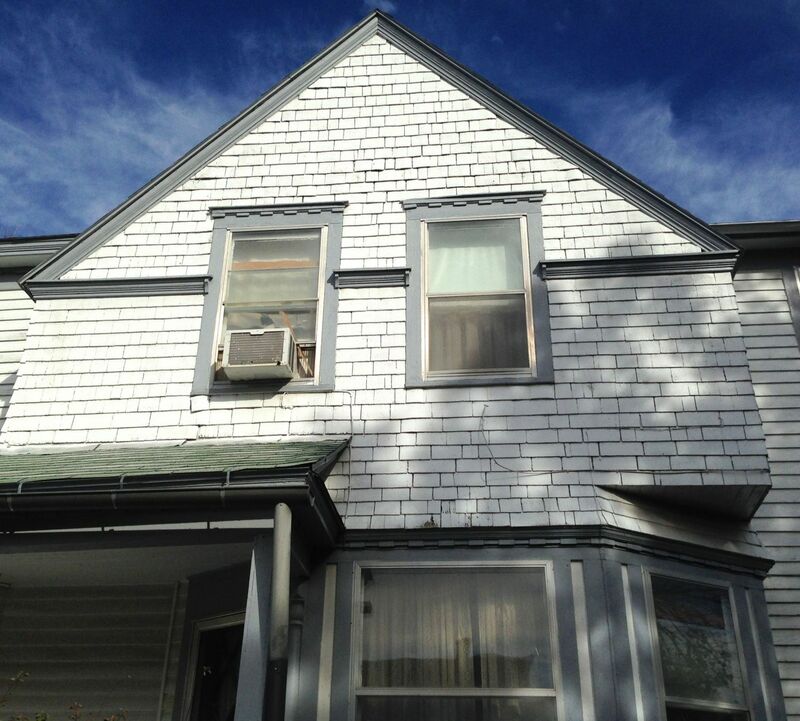 There is a half-bath on the first floor, and a full upstairs. A shower is also in the basement. 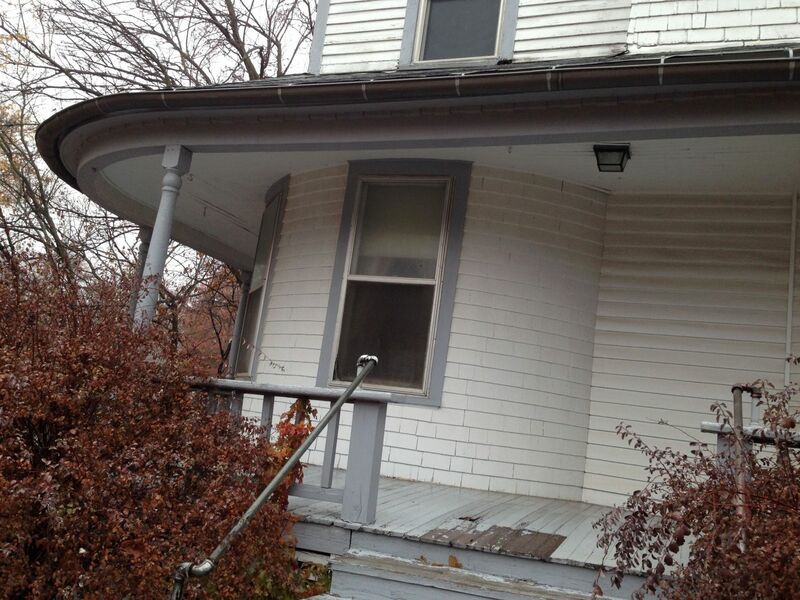 While I lust after this house I understand what others are seeing: the place looks dated and needs work. I see this as well, but from what Lacie tells me (and every realtor I have ever known), most buyers get bogged down by the negative aspects of an old house and then cannot see the positive aspects. I also understand that if I were younger, married, with kids, and had a 9-5 job, I, too, would be unable to see how cool this house is. I would just see the work needed, and when would I have the time or energy? 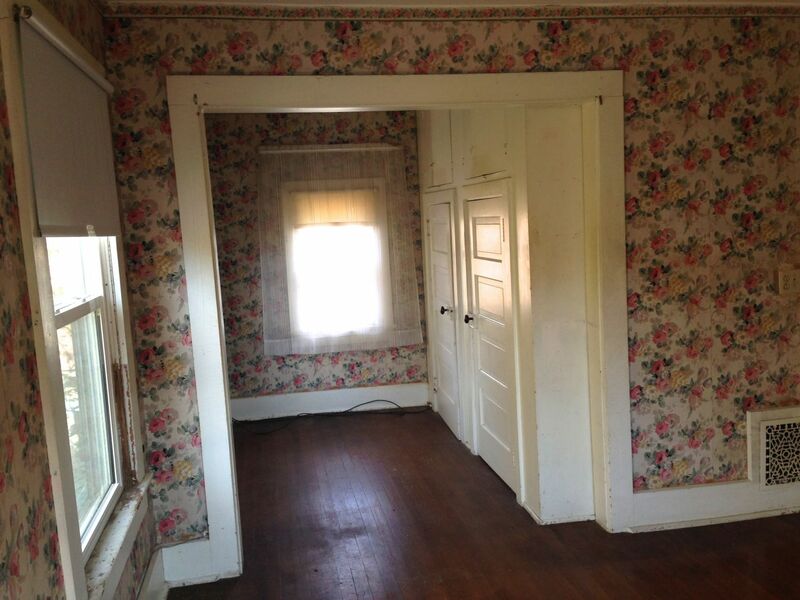 So, I would lust after a house in move-in condition. Please. Please! But…there are a lot of buyers who have grown kids, some time on their hands, some skill, and a little money put away. 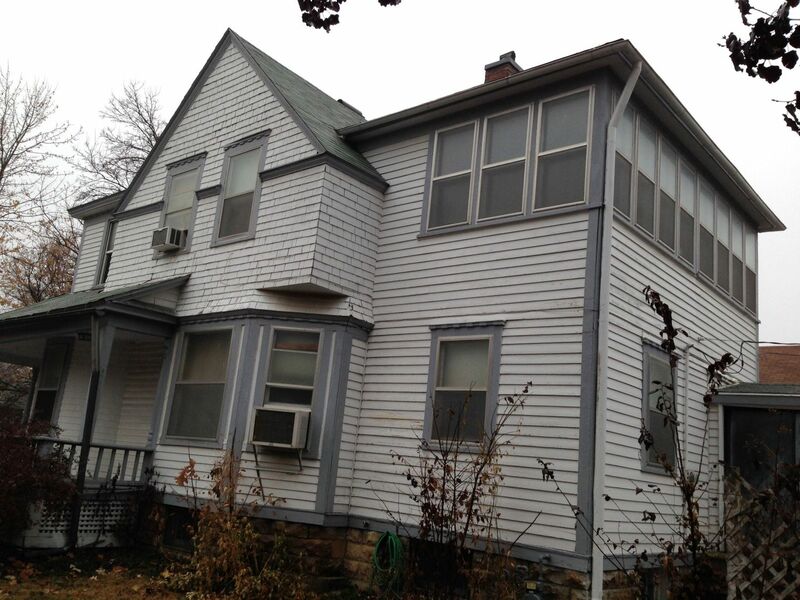 This lovely house is but $40K. It can be lived in right away, and one could tackle a room at a time. Paint and newly finished floors would alone do wonders. 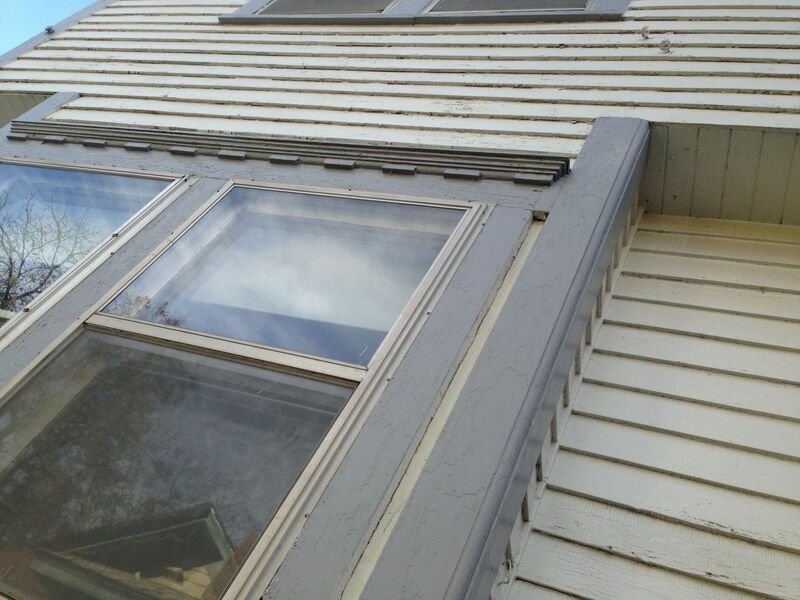 Oh, the house needs a great exterior color scheme. It could then, once again, really stand-out. Wow! The light fixtures are pretty awesome. There’s a forum around that talks about fans (for real), I had no idea that some of these houses had original ceiling fans until I started reading about it (not saying that one is original.) Now when someone leaves a comment about ripping out the ceiling fan my inner voice goes “NOOOO! Don’t you know how old that is?! How expensive they are to replace? !” I bet most people throw those things out thinking it’s a recent invention and not worth anything. I have to admit, the listing pics left me feeling a bit “meh” but seeing the crisp details in your pics, leaves me seeing potential. I’m also extremely jealous! The only old house for sale around here is priced at $1.3 million and that’s the land value, they didn’t even bother to take photos of the house. To have such an inventory to pick from, some towns/people are more lucky than they know. 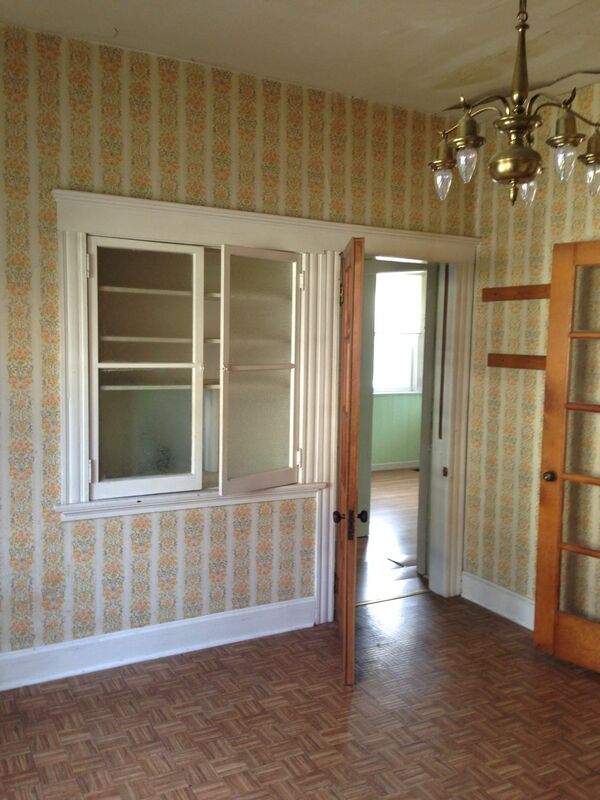 I hope the person who buys it actually likes old houses and will want to keep all the fixtures and restore it rather than renovate and tear out. 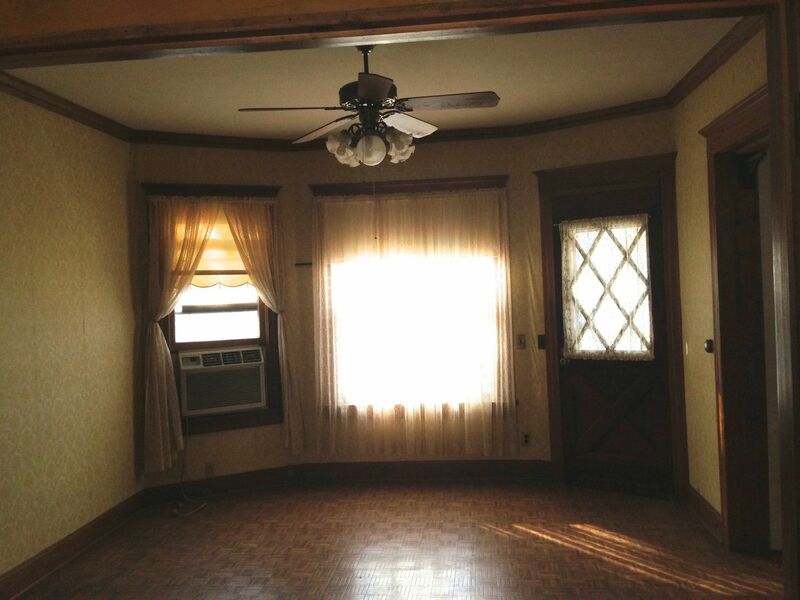 Yes, some old houses retain original ceiling fans, and few people realize how valuable they are! Sadly though, a great many incredible old ceiling lights are discarded every year so people can install made-in-China ceiling fans. I always tell people: buy a good floor or wall-mounted fan! Oh, and houses where you live are priced at a million or more? Yikes! I have to lure you to Emporia!!!!! I LOVE LOVE LOVE this house. You are I are destined to be best friends. Amy! You make me laugh! 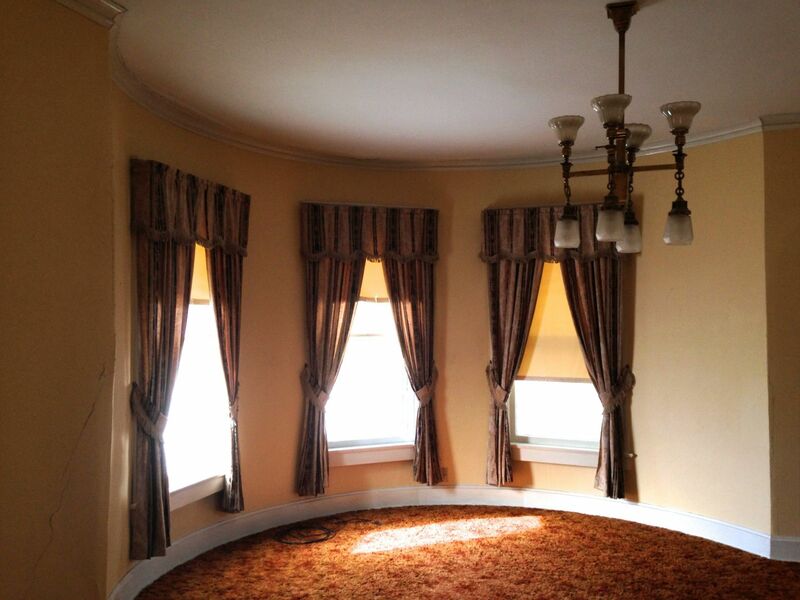 Yes, please abandon all your OWN incredible old houses, run to Emporia, and restore this sweet treasure! NOTE: Amy has her own great blog. On top of how much I love this house, you’ve also reminded me of my lust for a piece of Saint Alban’s Place, the Second Empire garden block where The Sixth Sense was filmed. Chad, so you love this house, too? Obviously you are a man with impeccable taste! NOTE: Chad has his own great blog. yeah I try not to have too much of a wandering eye since the plan for March 2015-March 2016 is to have my life back, not to take on other liablities. 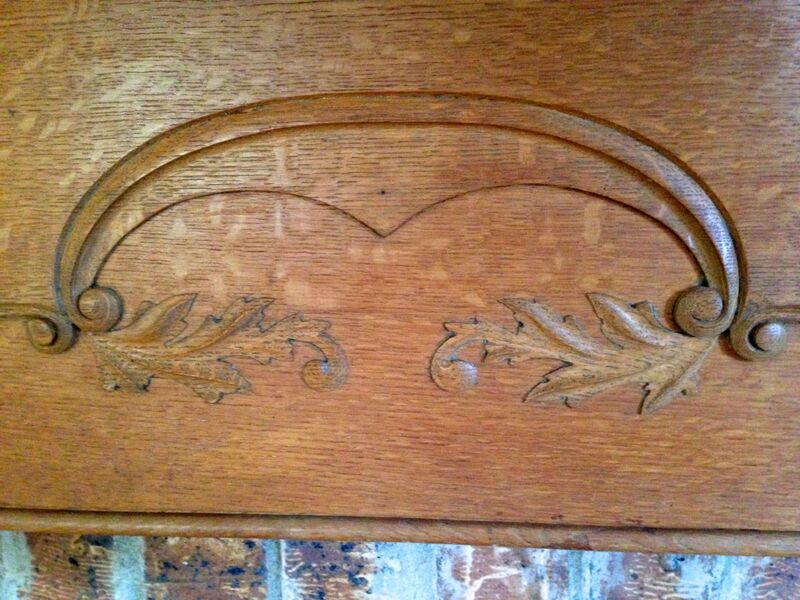 But I do catch myself drooling over woodwork from time to time. This information was included in an article titled “Builders Defy Rain” on page 2 of The Emporia Daily Gazette, September 27, 1926. I have a 1910 postcard of “State Street, looking North, Emporia, Kansas.” The card shows the intersection of West Sixth Avenue and State Street. 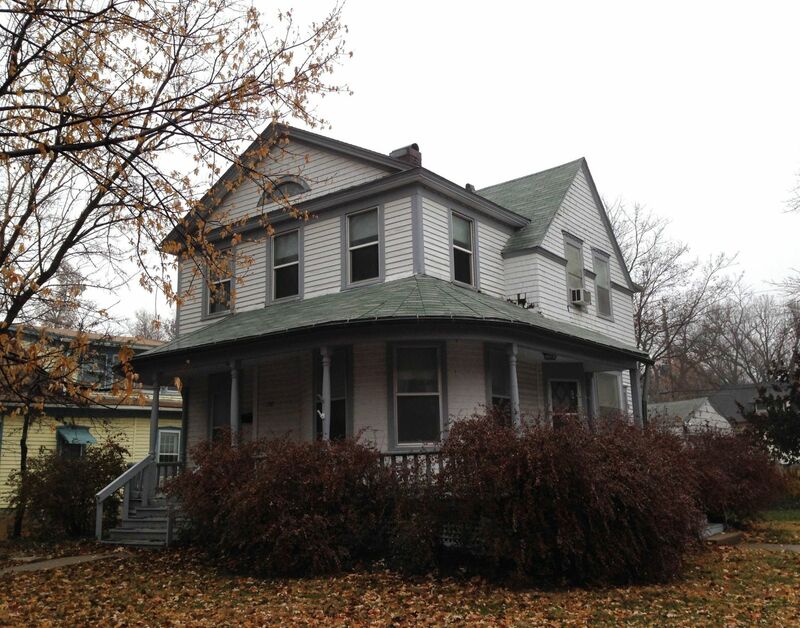 Sure enough, the 702 West house appears at its original site on the northeast corner. A similar postcard of the same scene is currently on eBay. M.R. Hammer mentioned in the Gazette was Marion R. Hammer. He and his wife Edna were still residing at 702 West into the 1960s. Wow! What a great discovery!!!!!!! !